Want to be notified of new releases in 1993hzw/Doodle? Image doodle for Android. 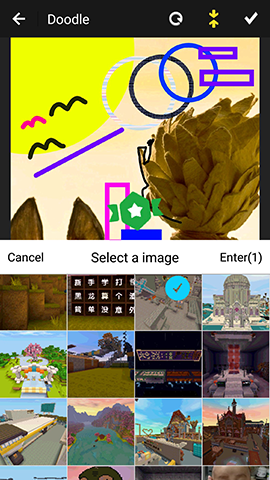 You can undo, zoom, move, add text, textures, etc. 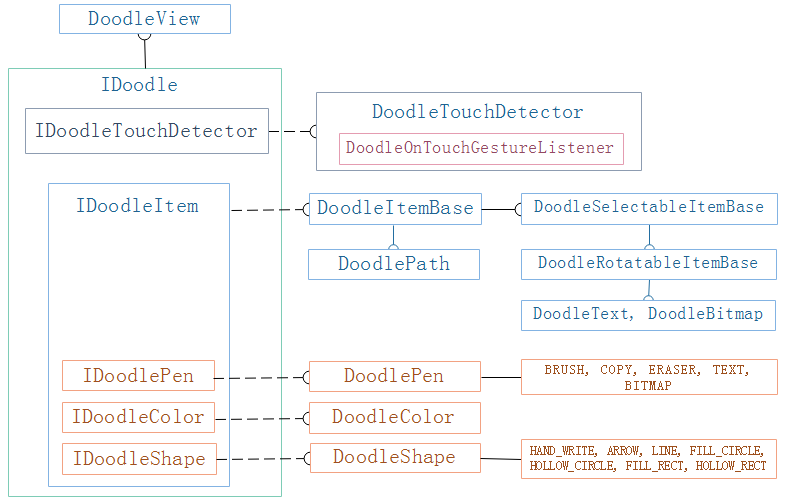 Also, a powerful, customizable and extensible doodle framework & multi-function drawing board. The brush can choose hand-painted, mosaic, imitation, eraser, text, texture, and the imitation function is similar to that in PS, copying somewhere in the picture. Shapes can be selected from hand-drawn, arrows, lines, circles, rectangles, and so on. The background color of the brush can be selected as a color, or an image. Each step of the doodle operation can be undone. 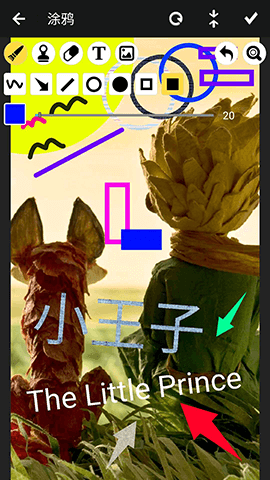 In the process of doodle, you can freely zoom, move and rotate the picture with gestures. Also, you can move，rotate and scale the doodle item. In order to doodle more finely, an zoomer can be set up during the doodle process. See DoodleParams for more details. B. Recommend, use DoodleView and customize your layout. 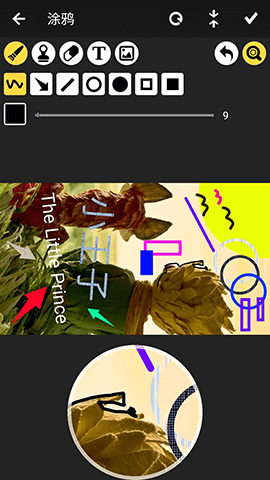 mDoodle 推荐的方法：使用DoodleView，便于拓展，灵活性高，自定义自己的交互界面. Whether or not to optimize drawing, it is suggested to open, which can optimize the drawing speed and performance. Note: When item is selected for editing after opening, it will be drawn at the top level, and not at the corresponding level until editing is completed. called when save the doodled iamge. called when it is ready to doodle because the view has been measured. Now, you can set size, color, pen, shape, etc. called when the item(such as text, texture) is selected/unselected. called when you click the view to create a item(such as text, texture). // create touch detector, which dectects the gesture of scoll, scale, single tap, etc. Then, add the DoodleView to your layout. Now you can start doodling freely. 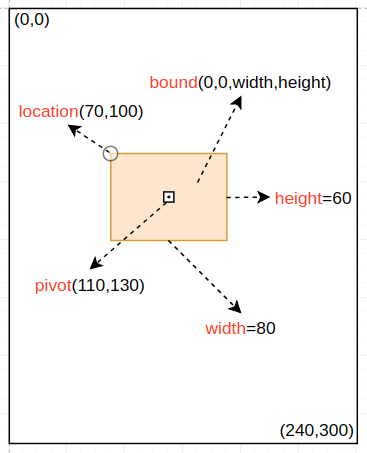 Here are other simple examples to teach you how to use the doodle framework. Now I think you should know that DoodleActivity has used DoodleView. You also can customize your layout like DoodleActivity. See DoodleActivity for more details. You can create a customized item like DoodlePath, DoodleText, DoodleBitmap which extend DoodleItemBase or implement IDoodleItem. You can create a customized pen like DoodlePen which implements IDoodlePen. You can create a customized shape like DoodleShape which implements IDoodleShape. 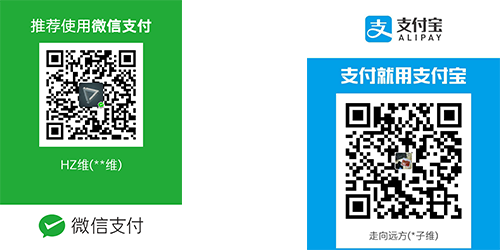 You can create a customized color like DoodleColor which implements IDoodleColor. You can create a customized touch gesture detector like DoodleTouchDetector(GestureListener) which implements IDoodleTouchDetector.